The New Year is upon us, and we are back to our busy work schedules! When times get busy, between day-to-day activities, work, and family obligations, it’s easy to forget to take time for ourselves. Constantly running around, entertaining or socializing can be very exhausting, both physically and mentally. It is easy to tell if you are physically exhausted, with aches and pains or even just feeling physically tired. However, when it comes to mental exhaustion, it may be harder to tell when you’ve reached your limit and need time to relax your mind. With the new year upon us, now is the PERFECT time to make some extra time for yourself to relax and meditate. If you are feeling constantly stressed, irritable and tired, you might not be sick or “having a bad day”, you might just be mentally exhausted. If you are feeling any of the above symptoms or want to prevent it before it happens, I have a couple of tips you can follow to help you unwind and give your mind the relaxation it need! While fuelling your body properly and getting your leanercise is undoubtedly important, allowing yourself some rest time should be one of your top priorities!! When I say take time off, I don’t mean booking time off work - I mean actually taking time off for yourself! 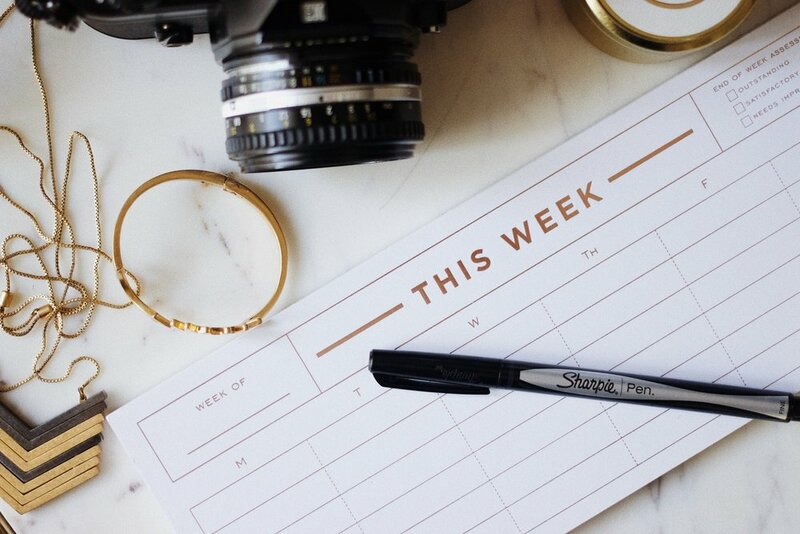 When you are used to being on a constant schedule, it’s easy to mentally start creating a schedule, even for your time away from work. When we do this, we are subconsciously overworking ourselves during a time we are supposed to be relaxing. When you have some time away from your job, it’s important to decompress and just turn off your mental clock, even if its only for a few minutes per day. During this time, try to focus on things that don’t require you to think too much at all! This could mean watching a few new movies, your favourite Netflix show, or baking some (lean or not so lean) treats with your family or friends! Meditation and yoga are definitely some of the best way to relax your mind and body. When meditating, you are taking time out of your day to focus on quieting your mind and relaxing. This is super helpful in either preventing mental fatigue or lessening mental fatigue you may already have. Meditating can help prevent over thinking, and can help you better organize and prioritize your thoughts in times of stress. Meditation is super accessible with apps such as headspace or even the tons of videos available online. Even if you don’t fee like you “know how to meditate” sitting quietly for 8-10 minutes and focusing on nothing but your breathing that be an incredibly relaxing experience, which is EXACTLY what we want! ALSO, I think you will find that sitting quietly in the morning for 8-10 minutes while give you more mental clarity throughout the day. For me, I find that meditating in the morning works best, but see what time of day works for your and your schedule and let me know!!! Yoga goes hand in hand with meditation. There are many different kinds of yoga, and each person has their preferences, however I find the most relaxing type of yoga to be “Hatha Yoga”. I think it is a great compliment to HIIT training (or most types of training for that matter) because it focuses on lots of breathing and lengthening of our muscles which get worked on a regular basis. Yoga is a fantastic way to relax both your mind and your body and really recharge over the Holidays! 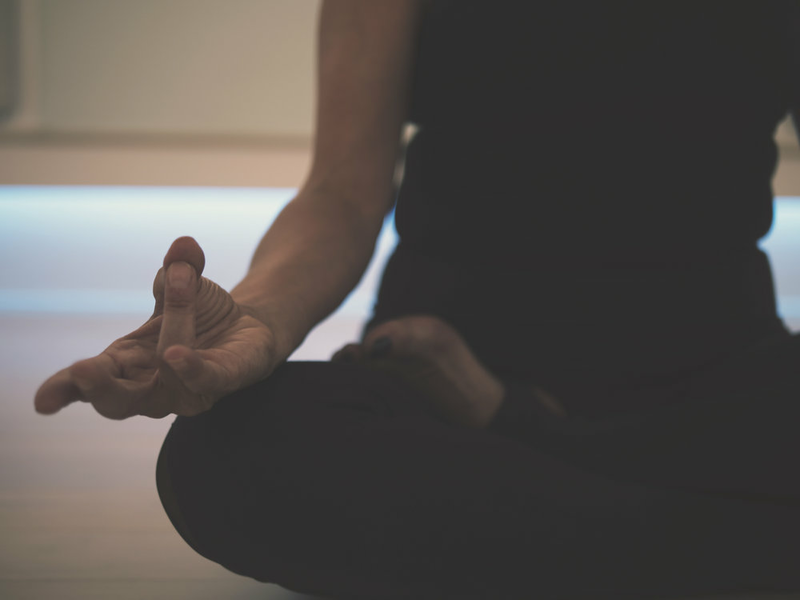 Even practicing either yoga or meditation a couple times a week can be VERY beneficial. Sometimes it can be hard to take time off, especially during busy times of the year. In that case, it is still possible to find time to relax! The rule I like follow is one thing a day. Everyday, I make sure to make time for at least 1 thing to do that relaxes me. It may seem like a difficult thing to do - finding time every single day, but it doesn’t have to be anything extravagant. 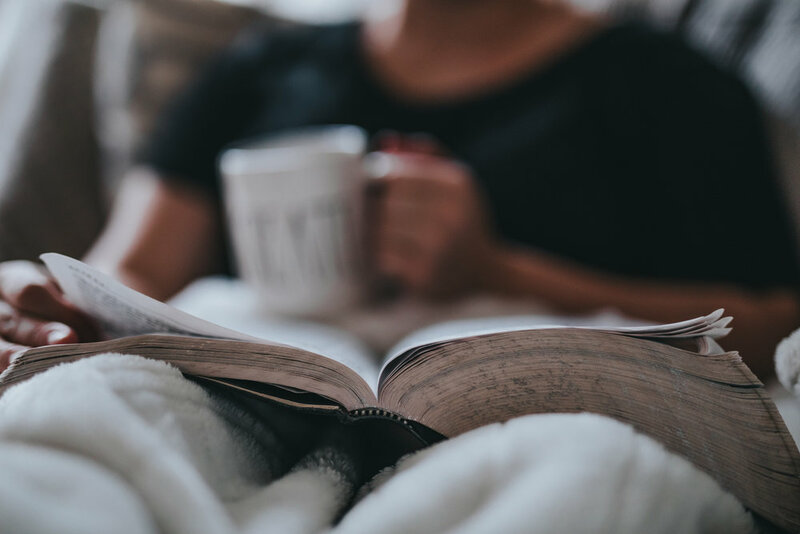 Your one thing can be something as small as getting up early and enjoying your coffee quietly on the couch before getting ready for work, meditating, or reading a few pages of your book. If you aren’t sure where to start, I find something simple and effective to do is trying to stay off your phone for the first 20-30 minutes after waking up! Sometimes our phones can cause us a ton of stress without realizing! Waking up to check your email, texts, or even social media can remind you of things you have to do and can also introduce new stresses into your day.. Most importantly, checking your phone makes you focus on other people and other things, when instead you could be focusing on yourself. You can use that time to meditate or you could simply just focus on yourself, either way you will be sure to start your day off in a more relaxed state! There you have it, my 3 tips on how to stay relaxed and avoid getting over stressed throughout busy times of the year!